Feliciano Lopez to become Madrid Tournament Director after next year. Will be assistant next year to Manolo Santana, who becomes honorary Life President after 2018. Guessing 2018 Lopez’ final year playing. Likes: Jackuar, Mainad and vive le beau jeu ! Nice title. Thought the WTA was gaining an athlete. A Fedfan has created yet another imaginary story (quoted above). Hard to believe he has been pro basically as long as Fed. Awesome career......him leaving leaves us fans with one less player who knows how to volley to enjoy watching. 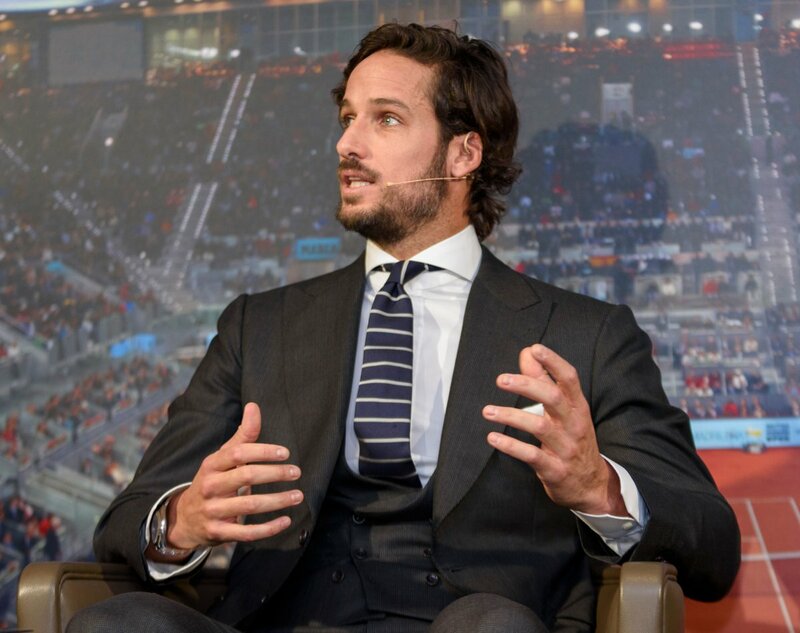 Feliciano Lopez to take over as tournament director of Mutua Madrid Open in 2019. Follows path of Tommy Haas, tournament director in Indian Wells at BNP Paribas Open while still active player. I remember Lopez playing Agassi wayyyy back in the day…fist time i saw Lopez I believe. I don't remember who won but I remember it was a hard fought match and Agassi dubbed Feliciano ''Live Arm Lopez'' and he was kind of annoyed with his coach (I think it was Cahill at the time) for not scouting him better. Dude was serving bombs and coming to net a lot even then. Likes: The Green Mile and vive le beau jeu ! Shouldn't the clay be blue? does Fed have to lose to him this year? Anyway, will be sad to see Feli go. He's one of the good ones. Feli just wants the most consecutive slams played record. 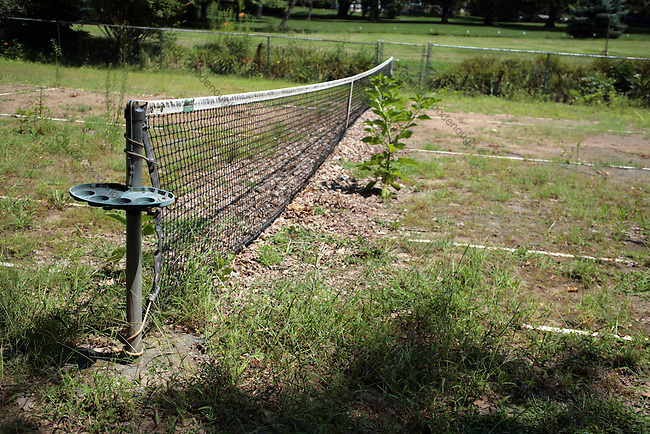 Likes: tennis_pro and vive le beau jeu ! What do you mean ? Madrid is the best tournament in Spain and it has been given to Feli, who is incidentally a huge Fed admirer. Rafa is left at best with Barcelona. the groundstaff have a bit of work to do on that grasscourt I think. and why is milos sitting next to judymoo ?.. or is it his chubby twin brother. The mac that Rafa can get now is Barcelona . For a fleeting moment I thought he was announcing his admission into the Kaitlyn Jenner Academy of Weeny Severing before making a triumphant appearance in next July Cosmopolitan's Bathing Suit edition. Groundskeeper Willy has been negligent, I see. Lopez turned pro in 1997. I think he's been out on tour longer than anyone in the top 100, then Federer then I guess Karlovic. Played his debut tour level match against Novak in 98, got destroyed in straights. Fed also debuted in 98, I think Ivo was a bit later on. Federer currently holds the record for most consecutive Majors played at 65. Lopez is at 63. If Lopez plays the first three Majors of the year next year, he sets the record. Likes: every7 and vive le beau jeu ! By the title, I thought you meant Felciano was transitioning into a woman which wouldn't have surprised me! Feli has been transitioning from the baseline to the net his whole career. Thanks Feliciano - your beautiful tennis has won a place in my heart! Likes: YetAnotherFedFan, ojo rojo and vive le beau jeu ! JUDY MURRAY has spoken of her soft spot for one of her son’s rivals, who’s 22 years her junior. The 54-year-old tennis coach reveals her crush on Spanish ace Feliciano Lopez on BBC Three’s BACKCHAT this Sunday. Not sure if Judy M would approve of Deliciano transitioning into Deliciana! Is he even in contention? Depends on what you call "playing". This is a surprise that Verdasco is in the running. Have often seen him play early rounds at majors slightly under injury clouds and struggling slightly. I wonder if it has always been something important to him to be in the big four tournaments even when other players would maybe withdraw with injuries. It's a big achievement for someone with this heavier body type to have that much durability. This title is confusing. Transitioning sounds like something else entirely and I think you know what I'm talking about. is that marijuana growing on the court ? I've enjoyed Felicino as a player, but he is one of those very dramatic guys and that drove me nuts.